Get ready to enjoy this amazing Everglade Airboat Ride and Wildlife Nature Show departing from Miami. 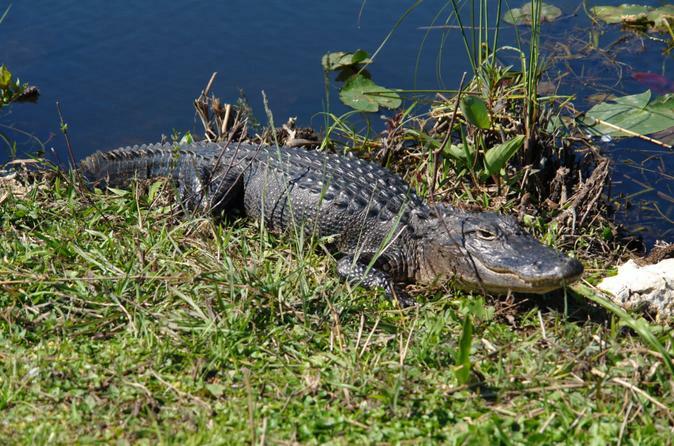 You'll see all kinds of wildlife, including alligators, snakes, fish, and exotic birds. With the entrance to the park and airboat included, you are getting the best deal with this ticket. Pick up is included from Miami, Miami Beach and Broward County. Begin with pickup at your Miami, Miami Beach and Broward County location, where you will then be picked up and driven to the Everglades National Park. The Everglades is home to hundreds of bird species, thousands of alligators and other reptiles providing a thrilling and unique experience. Once your airboat tour has completed, you will have the chance to witness a one of a kind wildlife show. With some of the most ferocious reptiles just feet away, this up close and personal experience is a must see!